Guam is a U.S. territory in the Pacific Ocean of just around 165,000 people but it has made huge head-waves by being becoming the second American jurisdiction to legalize the sales of recreational cannabis through a legislature (the first U.S. jurisdiction to do so was the Northern Mariana Islands – click here for our previous blog). Previously, only medical-use cannabis was legal. Democratic Governor Lou Leon Guerrero signed the Cannabis Industry Act (the “Act”) into law on April 4, 2019 stating “We must regulate this illicit drug that is the most widely used drug in our society. We have to take it and control it, monitor its use and effects, benefit from its medicinal efforts, and allow our people to live in a safer environment”. 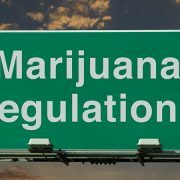 Possession, Sales, and Home Cultivation All Legalized. 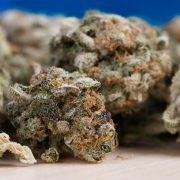 The Act permits those age 21 or older to legally possess and transfer up to one ounce of marijuana flower and/or eight grams of concentrated cannabis. The measure, which took immediate effect, also permits adults to privately cultivate up to six cannabis plants (no more than three mature) in an “enclosed, locked space”. Public consumption of cannabis will remain a violation of law. Guam Follows A Growing Trend In Legalizing Cannabis. The medical use of cannabis is legal (with a doctor’s recommendation) in 31 states and Washington DC. Those 33 states being Alaska, Arizona, Arkansas, California, Colorado, Connecticut, Delaware, Florida, Hawaii, Illinois, Maine, Louisiana, Maryland, Massachusetts, Michigan, Minnesota, Missouri, Montana, Nevada, New Hampshire, New Jersey, New Mexico, New York, North Dakota, Ohio, Oklahoma, Oregon, Pennsylvania, Rhode Island, Utah, Vermont, Washington and West Virginia. The medical use of cannabis is also legal in the territories of the Northern Mariana Islands, Guam and Puerto Rico. Ten states and Washington DC, have legalized marijuana for recreational use — no doctor’s letter required — for adults over the age of 21. Those ten states being Alaska, California, Colorado, Maine, Massachusetts, Michigan, Nevada, Oregon, Vermont and Washington and now the territory of Guam. While the developments listed above are favorable for cannabis business, it still remains to be seen whether the Federal government will respond favorably and when favorable changes will be made to the Internal Revenue Code which treats businesses in the marijuana industry differently resulting in such business paying at least 3-times as much in taxes as ordinary businesses. Two bills currently being considered by the California State legislature that would authorize legal cannabis businesses to provide free cannabis or cannabis products to a medicinal cannabis patient and would allow temporary licenses to be re-validated if an annual license application has been submitted. These measures if enacted into law could help legal cannabis businesses to thrive and level the playing field with cannabis businesses that continue to operate in the grey and black markets. The proposed legislation, which is sponsored by state Senator Scott Weiner, was introduced in the current session on December 3, 2018 would allow licensed cannabis businesses to provide free cannabis or cannabis products to a medicinal cannabis patient if specified requirements are met. This is more liberal that existing administrative law which prohibits a retailer licensee from providing free cannabis goods to any person or allowing individuals who are not employed by the retailer to provide free cannabis goods to any person on the licensed premises. The bill also provides relief from the imposition of state taxes on the donated cannabis and cannabis products. The full text of the Bill can be viewed here. The proposed legislation, which is sponsored by state Senator Mike McGuire, was introduced in the current session on January 8, 2019 would revalidate an expired temporary license if the licensee submitted an application for an annual state license before the licensee’s temporary license expiration date, and would require the extended temporary license to expire on December 31, 2019, unless otherwise revoked. This legislation has serious ramifications for the legal cannabis industry in California as many businesses are operating under temporary licenses and there are delays and other challenges poised at the local level that could result in temporary licenses expiring before final annual licenses are issued. If this legislation is not enacted into law, current temporary license holders will not be able to operate after their temp licenses expire, leaving the state with a major supply crisis and discouraging future investment into legal cannabis. The full text of the Bill can be viewed here. Even though 33 states have legalized cannabis for medical or adult use, banks and financial institutions are hesitant to provide services to cannabis businesses because federal law still classifies cannabis as an illegal Schedule 1 drug under the Controlled Substances Act. A bill was introduced in the California legislature that would give legal cannabis businesses a tax break to help them thrive and level the playing field with cannabis businesses that continue to operate in the grey and black markets. The proposed legislation, which is sponsored by Assembly Member Reggie Jones-Sawyer (D) provides that for each taxable year beginning on or after January 1, 2019, Section 280E of the Internal Revenue Code, relating to expenditures in connection with the illegal sale of drugs, shall not apply to the carrying on of any trade or business that is commercial cannabis activity by a licensee. The full text of the Bill can be viewed here. 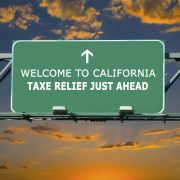 If this Bill becomes law, it would mean that under the California Tax Code, cannabis businesses can deduct their operating expenses to arrive at California State taxable income. It still would not change the manner that the IRS taxes cannabis businesses. Medical marijuana is now legal in 33 states plus the District Of Columbia, Guam, Puerto Rico and the Northern Mariana Islands and recreational marijuana is legal in 10 states plus the District Of Columbia and the Northern Mariana Islands. The ten states legalizing recreational marijuana being Alaska, California, Colorado, Maine, Massachusetts, Michigan, Nevada, Oregon, Vermont and Washington. The Marijuana Data Collection Act of 2019 would study the effects of state legalized medicinal and non-medicinal marijuana programs from a variety of perspectives, including state revenues, public health, substance abuse and opioids, criminal justice, and employment. In a press release issued by Congresswoman Tulsi Gabbard’s Office she stated “Our archaic marijuana policies– based on stigma and outdated myths–have been used to wage a failed War on Drugs. Families have been torn apart, communities left fractured, and over-criminalization and mass incarceration have become the norm. In 2017 alone, our country arrested 600,000 people just for possession of marijuana. Our bipartisan legislation takes a step toward ending the failed War on Drugs, ending the federal prohibition on marijuana, and ensuring that our policies are guided by facts and the truth”. Congressman Don Young stated “I am a passionate supporter of a states’ rights approach to cannabis policy. For too long, the Federal government has stood in the way of states that have acted to set their own marijuana policy, and it is long past time Congress modernized these outdated laws. Since Alaska legalized marijuana, I have heard from many constituents – including small business owners – who have been impacted by archaic Federal marijuana policy that criminalizes them for selling marijuana-derived products otherwise legal under state law. Additionally, our nation’s prisons are overcrowded with non-violent offenders who too frequently have their lives ruined by harmful and outdated policies. 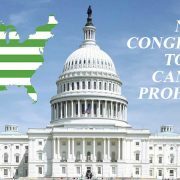 As co-founder of the Congressional Cannabis Caucus, I am proud to introduce two pieces of bipartisan legislation with Congresswoman Tulsi Gabbard to get the Federal government out of the way of state-level policymaking. I look forward to working with Congresswoman Gabbard and my friends on both sides of the aisle to see these initiatives become law”. Generally, businesses can deduct ordinary and necessary business expenses under I.R.C. §162. This includes wages, rent, supplies, etc. However, in 1982 Congress added I.R.C. §280E. Under §280E, taxpayers cannot deduct any amount for a trade or business where the trade or business consists of trafficking in controlled substances…which is prohibited by Federal law. Cannabis, including medical marijuana, is a controlled substance. What this means is that dispensaries and other businesses trafficking in cannabis have to report all of their income and cannot deduct rent, wages, and other expenses, making their marginal tax rate substantially higher than most other businesses. A cannabis business can still deduct its Cost Of Goods Sold (“COGS”). Cost of goods sold are the direct costs attributable to the production of goods. For a marijuana reseller this includes the cost of cannabis itself and transportation used in acquiring cannabis. To the extent greater costs of doing business can be legitimately included in COGS that will that result in lower taxable income. But in any case, the burden of proof whether it be in an IRS audit or in Court is on the taxpayer to prove the deductions the taxpayer are claiming. In Feinberg v. Commissioner, 2019 U.S. App. LEXIS 5618 (10th Cir. 2019), click here for the opinion, the taxpayers were shareholders in an LLC selling medical marijuana in Colorado where such sales are legal. The cannabis business was examined by the IRS and the taxpayers refused to provide backup to the deductions the taxpayers were claiming on the basis that this violated their Fifth Amendment privilege. 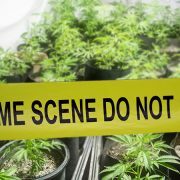 The taxpayers argued that if they produced the evidence to back up the deductions being claimed in the cannabis business, that evidence could be used against them to impose criminal liability for engaging in the trafficking of a controlled substance. The Court rejected this concept recognizing that the Fifth Amendment privilege protects one from compulsory self-incrimination and not barring evidence that would assist in meeting a burden of production. The Court stated “by invoking the privilege and refusing to produce the materials that might support their deductions the taxpayers no doubt made their task of proving the IRS erred in denying their deductions that much harder”. However, “a party who asserts the privilege against self-incrimination must bear the consequences of the lack of evidence [See United States v. Rylander, 460 U.S. 752 (1983)] which teaches that the taxpayers’ possible failure of proof on an issue on which they bear the burden is not compulsion for purposes of the Fifth Amendment. Therefore, we reject the taxpayers’ contention that bearing the burden of proving the IRS erred in rejecting the taxpayer’s business deduction under § 280E violated the taxpayers’ Fifth Amendment privilege”. The Court held that, since the taxpayers bore the burden of proof without the cover of the Fifth Amendment and the taxpayers failed to provide such proof – the taxpayers lose. A cannabis business that has not properly reported its income and expenses and not engaged in the planning to minimize income taxes can face a large liability proposed by IRS reflected on a Notice Of Deficiency or tax bill. The Tax Cuts And Jobs Act Of 2017 (“TCJA”) was signed into law by President Trump on December 22, 2017. It has been a good 30 years since the last time the Internal Revenue Code received such a major updatebut just how does this effect the cannabis industry? Accordingly, cannabis businesses must still pay federal income taxes on their gross profits which is Gross Receipts less Costs Of Goods Sold. No deductions for operating expenses are allowed. All C corporations, including those engaged in marijuana-related endeavors, now benefit from a 21% tax rate (down from the previous 35%). The corporate alternative minimum tax has been eliminated. In addition to the tax reduction, C corporations also provide limited liability protection, greater credibility, and other advantages. As there is no distinction between cannabis and non-cannabis businesses, cannabis businesses organized as C-corporation should benefit from this reduced tax rate. This area has been given the most attention over the last year in anticipation of the first tax season that this benefit applies. The TRJA provides a new 20% deduction under 26 U.S. Code § 199A to certain S Corporations, LLC’s and partnerships but there are a number of limitations including (but not limited to) exclusion of specified service trades and businesses, and income limitations ($157,000 for individual filers and $315,000 for joint filers). 25% of the taxpayer’s share of W-2 wages with respect to the business plus 2.5% of the allocable share of the unadjusted basis of all qualified property (tangible personal property subject to depreciation and depreciable period is later of 10 years or regular straight-line depreciation period, so 39 years in the case of a non-residential rental building). There are other calculations that apply but before working through the details of Section 199A can cannabis business owners benefit from this deduction? Can TheSection 199A Deduction Apply To Cannabis Business Owners? Clearly Section 280E puts cannabis businesses in a different category than non-cannabis businesses. The focus on Section 199A is that this deduction applies to enterprises that“carry on any trade or business”. The deduction thought is not made at the business level but instead at the individual level. It should be most noteworthy that this deduction does not appear on any forms for a business to report its taxable income and deductions. In order to be a qualified trade or business, an activity must rise to the level of being a trade or business (Code Sec. 199A(d)(1)). Because the term “trade or business” is not defined in the Code, the determination of whether an activity rises to that level is subject to different interpretations. As a result, several distinct bodies of administrative guidance and case law have developed around the meaning of the phrase under different Code sections. For purposes of Section 199A, the meaning of “trade or business” under Section 162 is controlling (Reg. Sec. 1.199A-1(b)(14)). Under Section 162, an activity must be regular and continuous to be considered a trade or business (Groetzinger v. Comm’r, 480 U.S. 23 (1987)). Whether a business has enough regular and continuous activity to be considered a trade or business is generally a facts and circumstances question. When interpreting Section 280E, it could be argued that this provision denies cannabis business from deducting expenses normally deductible under Section 162 but in no way impacts whether the enterprise is operating as a trade or business. Nevertheless, it may be beneficial to disclose this position on the 2018 individual income tax return to avoid penalties in the event that on audit and any appeal this position is not respected by the IRS. There is no one size fits all tax answer for every cannabis business but it is clear that Section 199A does not eliminate the punitive impact of Section 280E deduction disallowances.Protect yourself and your investment by engaging the cannabis tax attorneys at the Law Offices Of Jeffrey B. Kahn, P.C. located in Orange County (Irvine), the Inland Empire (including Ontario and Palm Springs) and other California locations. We can come up with tax solutions and strategies and protect you and your business and to maximize your net profits. On February 13, 2019 a hearing was conducted by the Subcommittee on Consumer Protection and Financial Institutions which is under the U.S. House Committee On Financial Services headed by Chairwoman Maxime Waters (D–CA). 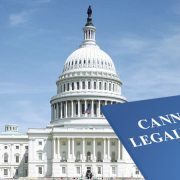 Testimony was provided at this hearing which could lead to the subcommittee putting forth a bill in Congress that eventually could put into law guaranteed access to the banking industry for state-licensed cannabis businesses. 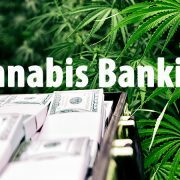 The Committee recognizes that an increasing number of financial institutions have expressed interest in providing banking services to state authorized cannabis-related businesses; however, many financial institutions are refraining from offering banking services to these businesses based on several legal and compliance risks especially since federal law still classifies cannabis as an illegal Schedule 1 drug under the Controlled Substances Act. Furthermore, public safety and other concerns have been expressed by stakeholders, including state and local government officials regarding cannabis-related businesses having difficulties accessing basic banking services, such as depositing large sums of cash from their business activity. The Committee Memorandum can be viewed here. Reps. Ed Perlmutter (D-CO), Denny Heck (D-WA), Steve Stivers (R-OH), and Warren Davidson (R-OH) have a discussion draft for the Secure and Fair Enforcement Banking Act of 2019 (SAFE Banking Act) that was considered at this hearing. The proposal, among other things, would harmonize federal and state law concerning cannabis-related businesses and allow these businesses access to banking services. Additionally, depository institutions and their employees would be exempt from federal prosecution or investigation solely for providing banking services to a state authorized cannabis-related business. The draft of the bill can be viewed here. Click here for the recorded webcast of the hearing. While the developments listed above are favorable for cannabis business in the U.S., it still remains to be seen when favorable changes will be made to the Internal Revenue Code which treats businesses in the marijuana industry differently resulting in such business paying at least 3-times as much in taxes as ordinary businesses. Anyone conducting business in cannabis surely knows that under Federal law (Controlled Substances Act 21 U.S.C. 801) marijuana is designated as a Schedule I controlled substance due to the historical belief that it has a high potential for abuse, no currently accepted medical use in treatment, and lack of accepted safety for use under medical supervision. So the risk is apparent that at any time Federal authorities could come and shut you down but don’t think that just because cannabis is legal in California, you do not have to worry about the State. California law mandates that you can only sell cannabis if you have obtained a license to do so. These licenses being issued by the BCC. If you don’t have a license, then selling cannabis or transporting it in order to sell it is still a crime under H&S Code §11360. The Santa Barbara County Sheriff’s Office announced in a press release that on January 31, 2019, the Santa Barbara County Sheriff’s Cannabis Compliance Team concluded a four-month investigation into a local cannabis cultivator, operating under the name of Power Farms LLC, which is located just outside the City of Carpinteria. During this investigation, which spanned two counties and involved three separate search warrants, Detectives discovered one of the owners (whose name is being withheld due to the ongoing investigation) had provided false information during the county cannabis application process and was failing to follow proper shipping and manifest procedures. The owner’s Los Angeles County home, was served with a search warrant. There, Detectives seized several unregistered firearms, two which were reported stolen, as well as approximately 60 pounds of processed and packaged marijuana taken from Power Farms. They also seized thousands of dollars in cash and other items of evidence. Penalties For Selling Cannabis Without A License. For most defendants, unlicensed sale or transport for sale of cannabis is a misdemeanor punishable by up to six months in county jail and/or a fine of up to $1,000. For defendants under 18, it is an infraction. Also, giving away or transporting for sale up to 28.5 grams of cannabis without a license is an infraction. Defendants who imported or attempted or offered to import into California, or transported or attempted/offered to transport out of California for sale, more than 28.5 grams of cannabis or more than four grams of concentrated cannabis. In any of these scenarios, black market sale or transportation for sale of cannabis under H&S Code §11360 is punishable anywhere from two to four years in jail. Any people you give cannabis to are 21 years of age or older. You can count on other county governments coordinating resources like the Santa Barbara County Cannabis Compliance Team which since June 2018 focuses on unlicensed and illegal cannabis operations for the safety of the public. Both civil and criminal penalties will apply to unlicensed operators so it is imperative that anyone cultivating, manufacturing or distributing cannabis on a commercial basis in California seeks a local and state license for their operations immediately, if they have not already done so. 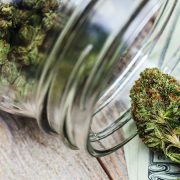 Protect yourself and your investment by engaging the cannabis tax attorneys at the Law Offices Of Jeffrey B. Kahn, P.C. located in Orange County (Irvine), San Francisco Bay Area (including San Jose and Walnut Creek) and other California locations. We can come up with tax solutions and strategies and protect you and your business and to maximize your net profits.